We often have visitors wonder how it is that we are able to provide a website of this size for free to our viewers, and how this site is supported. This page is to clear up any confusion you may have experienced regarding this issue. First, understand that this site is free. There is never a charge to access any information on RV Travel with Kids, and we are not compensated for writing any of the information on this website. We are a one family operation and are not paid in any way by any advertiser to write about their product or service. This site does, however, make money. It does this in several ways. First, understand that each page written on this site is carefully researched and drawn on our own personal experience with a subject, or that of a trusted source. After the page is written, in some cases a value-added affiliate program will be implemented. An affiliate program will show up along side or within the text as a recommendation for a product or service. If a visitor clicks on the affiliate link, RV Travel with Kids may be compensated monetarily for a visitor either requesting information or making a purchase. RV Travel with Kids carefully implements affiliate programs. All products or companies recommended on this site have been purchased/experienced by us, or those we trust, and are not added to any page simply to generate sales. That is not (nor has it ever been) the intent of this website. 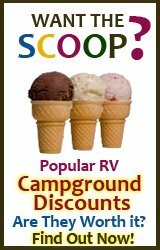 One example of an affiliate program is the sale of RV campground discount cards. We personally use these cards and like them. We do receive a small commission when one of our viewers purchases a card through our link. In addition to affiliate programs, RV Travel with Kids participates in the Google ads program. This is the program where Google will place advertising on this site, in various areas, designated by the notation "ads by Google". RV Travel with Kids may receive compensation from Google in the event that a visitor clicks on an ad. 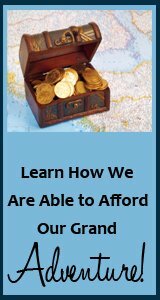 RV Travel with Kids does not have control over the ads displayed by Google on this website. 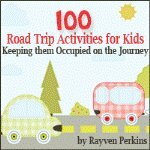 RV Travel with Kids also recommends Tupperware, Jerky Direct, and Send Out Cards. Compensation, in the form of money or gifts, does occur when visitors join any of these three programs, as they are all network marketing or direct sales companies. After looking through hundreds of programs, it is our intent to only offer the best as a means of RV travel income, and programs we personally make money off of. There are no income guarantees expressed or implied for any of the above programs. Finally, RV Travel with Kids receives compensation in two ways from Site Build It. SBI Site Build It is the website program used to create this, and the three other sites owned by RV Travel with Kids. We would be unable to earn all this other money if it was not for SBI. Ed and Rayven teach classes online on how to build websites such as this one. We are compensated through Austin Community College for being online instructors for this class. We are also compensated when a purchase of SBI is made from one of our recommendations. Many sites online don't make any money, though it is not for lack of trying. They simply do not have the best interest of the viewer (like we at RV Travel with Kids do) in mind when they bombard them with irrelevant advertisements. RV Travel with Kids is more concerned with helping our viewers than making a quick buck. As you can see, as a visitor, you help to support this site whether you realize it or not, and we thank you. Without your visits, this site would not be possible. I hope this information better helps you to understand the income stream behind this site. Our responsibilities to you, the viewer, are not taken lightly. Every page that is created has you in mind first and foremost before monetization is ever considered.